Local parties took the biggest share of the vote in Wednesday’s local elections, while GroenLinks is the big winner among the national parties. Turnout is slightly higher than 2014 at 55%. With 97.5% of the votes counted, local parties have take 32.7% of the votes, compared with 27.6% in 2014. Leefbaar Rotterdam, the right-wing populist group which formed part of the city’s administration for the last four years, lost three seats but remains the biggest party with 11 out of 45. In The Hague, Groep de Mos, formed by a former member of the PVV, tripled its support and is the biggest party with nine out of 45 seats while support for the anti-Islam PVV collapsed from seven to two seats. In Enschede and Tilburg too, local parties are the biggest. GroenLinks is the big national party winner, taking 8.4% of the vote overall, compared with 5% in 2014. The party will now take the lead on forming coalitions in Amsterdam, Utrecht, Delft, Haarlem, Nijmegen, Arnhem, Wageningen and Culemborg. The VVD has also gained in support nationwide, adding 1.4% on four years ago to 13.2%. The CDA has slipped slightly but remains the biggest party nationwide with 13.5% The PvdA, D66 and SP all lost more heavily and D66 is no longer the biggest in Amsterdam, Utrecht, The Hague Haarlem. 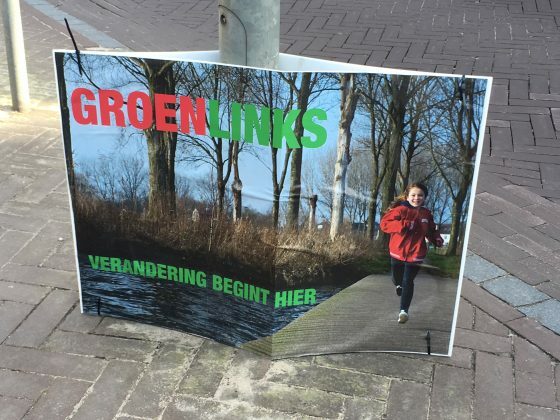 The PVV, which fielded candidates in 30 local authority areas, had a disappointing night. In The Hague, where it won seven seats four years ago, support for Geert Wilders’ party slumped from seven to two. In Almere the PVV also lost two councilors and now has seven. The party took four or five seats in several small towns but in Rotterdam and Utrecht where the PVV had hoped to make major gains, the party took two and one seat respectively. Denk, the party formed by two former Labour MPs and which has strong ties to the Turkish and Moroccan communities, was taking part in its first local elections and scored three seats in both Rotterdam and Amsterdam. In Utrecht and Zaanstad, Denk won two seats and in Eindhoven, Amersfoort and Lelystad one. Forum voor Democratie, which was only contesting the Amsterdam vote, won three seats. Opinion polls had suggested the party, which is one of the biggest in the country in national polls, would win four seats on the 45-seat city council.